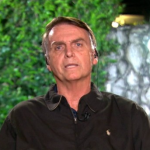 During a radio interview, Brazilian President Jair Bolsonaro said he is working with the US government to sow dissent within the Venezuelan Army in order to incite a military revolt against Venezuelan President Maduro. He said, “It is our intention and that of the Americans that there is a rift in the army, because it is they who still support Maduro. It is the armed forces that decide whether a country lives in a democracy or in a dictatorship.” The US has been using strong arm tactics against Caracas, choking the Venezuelan economy with new sanctions. the U.S. government to sow dissent within the Venezuelan Army. that he is not interested in running for re-election. increases and cuts to Medicare. 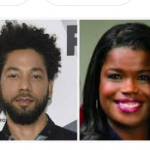 Jussie Smollett, the actor who was charged with 16 counts of disorderly conduct for allegedly hiring two black men to attack him in a staged ‘hate crime’ in January was given an a deferred prosecution deal with State’s Attorney Kim Foxx’s office that will wipe out the charges against him. Prosecutors dropped the charges supposedly based on Smollett’s volunteer service over the past seven days consisting of 18 hours work with Jesse Jackson’s PUSH Coalition lobbying organization. The judge sealed the case. prosecutors, state’s attorneys, and district attorneys. “attack” by two black men who he allegedly paid. him. Smollett will forfeit the $10,000 he posted for bond. at the same apartment at the same time. moved to 2438 18th St. South, Fargo, North Dakota 58103.
concurrently. And that she did this twice. 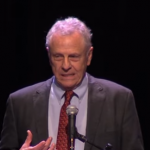 The Southern Poverty Law Center (SPLC) has fired Morris Dees, 82, its co-founder and former chief litigator, for alleged unspecified ‘misconduct’. Several SPLC employees reportedly wrote a joint email after a senior attorney resigned and accused Dees of sexual harassment and the SPLC of cover-ups and retaliation. The SPLC is widely known as an anti-Christian, anti-conservative, and anti-free-speech hate group and is embroiled in at least three lawsuits. Many of the Internet’s largest social-networking sites and search engines rely on the SPLC as the authority of what is considered “hate speech” in America while the law firm expands its definitions of hate groups and extremists. Recent tax filings show the SPLC with more than $450 million in assets. figure looking for evidence of hate and bigotry has his own history of hateful posts. “Operation Varsity Blues” is an FBI sting that netted indictments of 50 parents, college coaches and administrators, including Felicity Huffman, Lori Loughlin and her designer husband, Mossimo Giannulli. A class-action lawsuit filed by students and parents against Stanford University, USC, UCLA, the University of San Diego, the University of Texas, Yale and Georgetown, accused the schools of unfair competition and violations of consumer law. In a second lawsuit, Jennifer Kay Toy, a school teacher from Oakland, California, is suing the well-heeled defendants and other alleged participants in the multi-million dollar bribery case, claiming that her son, Joshua, who had a 4.2 GPA, was not accepted at top schools where he applied because the admissions system was rigged. Toy is seeking $500 billion in damages. The money in this bribery scandal is minuscule compared to government payments to colleges and universities to promote government lines of propaganda. For example, Yale University received approximately $480 million in federal funds in 2015. But the media is silent on this outrageous use of taxpayer money. saying their admissions process was “warped and rigged by fraud.”Prosecutors revealed Tuesday that 50 people, including 33 parents and a number of college coaches, face charges in carrying out a scheme in which wealthy people used their money to game the admissions system at some of the nation’s elite universities. 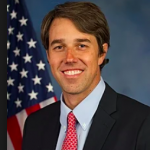 Former Congressman Beto O’Rourke announced he is running for the office of US President. He confirmed that he would tear down the border wall between El Paso, Texas and Juarez, Mexico. Greenpeace Co-Founder Patrick Moore destroyed the contradictions in O’Rourke’s positions by saying the the world will not end in 12 years, the environment is getting cleaner in the US, and that the majority of pollution comes from Africa and Asia. Greenpeace Co-Founder Patrick Moore DESTROYED Bobby ‘Beto’ O’Rourke on Bulls and Bears after the Democrat representative announced his run for president. 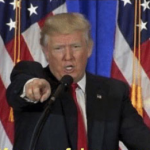 Beto wants to tear down ALL of the border walls on the southern border. be taken down. What kind of a position is that? Alexandria Ocasio-Cortez (AOC) was recruited by the Justice Democrats, a group of radical leftist and socialists, that auditioned over 10,000 people to run as their candidate in Congress. The Justice Democrats intend to takeover the Democrat Party by ‘primarying’ out establishment Democrats and replacing them with hundreds of radical socialist puppets. The Justice Democrats, backers of the Green New Deal and open borders, intend to take over the Democrat Party, Congress and then the entire United States. Seven candidates endorsed by the Justice Democrats were elected to Congress in the 2018 interim elections. Two former Bernie Sanders strategists and Cenk Uygur of the Young Turks appear to be pulling the strings, but it is unclear who is funding the enterprise. Zack Exley, a key player in the Justice Democrats, was a fellow at George Soros’ Open Borders Foundation. Alexandria Ocasio-Cortez (AOC) was chosen by the Justice Democrats, a group of radical leftist and socialists, that auditioned over 10,000 people to run as their candidate in Congress. The Justice Democrats are employing a strategy of taking over the Democratic Party by ‘primarying’ establishment Democrats out of office by running hundreds of charismatic opponents against incumbent Democrats that they do not own. After taking control over the Democrat Party, they intend to control Congress and then the United States. In the recent 2018 elections, the Justice Democrats endorsed 79 candidates in Democrat primaries, and 26 of them advanced to the general election and 7 won seats in Congress. Three of the new Congressmen, AOC, Rashida Tlaib and Ayanna Pressley were hand-picked by the Justice Democrats. Republicans and conservatives have not paid much attention because the Democrats are fighting among themselves, but the GOP has failed to understand the threat of the Justice Democrats’ strategy. The Justice Democrats prefer to control many loyal members of Congress rather than becoming members of Congress themselves. 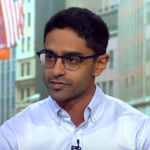 AOC’s handler appears to be Saikat Chakrabarti, her chief of staff, who formerly worked on the Bernie Sanders campaign that generated a groundswell of support for socialism. He has recently faced allegations of misappropriating $1 million in campaign funds. Zach Exley, who organized much of AOC’s campaign, is another former strategist from the Bernie campaign; he is an expert in Saul Alinsky methods of community organizing and is a radical open borders proponent who was a fellow at George Soros’ Open Borders Foundation. Cenk Uygur of The Young Turks is the reported mastermind who hired Chakrabarti and Exley to build the Justice Democrats. Uygur is no longer officially affiliated with the Justice Democrats. It is unlikely that he was the chief of the Justice Democrats as he has a reported net worth of $5 million, yet the group appears to have deep-pocket funding. 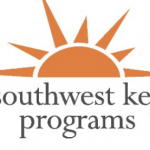 Austin, Texas: Southwest Key Programs’ CEO, Juan Sanchez resigned following several investigations accusing the nonprofit migrant housing charity of child abuse and monetary corruption. Southwest Key, the largest shelter provider for migrant children, was awarded more than $1.8 billion in federal funds over the past 10 years for housing unaccompanied minors in more than two dozen shelters. In addition to child abuse charges, Southwest Key is being investigated for allegedly misusing federal funds, including allegations that $61 million in assets was lent to real estate developers. In one instance, the charity reportedly lent $6 million to purchase and renovate a Wal-Mart into a shelter facility, which Southwest Key subsequently rented for $5 million annually, according to the NY Times. of child abuse and fiscal impropriety. Allegations have included excessive compensation (Sanchez’ 2016 salary was $1.5 million), and lax employee vetting procedures that led to child abuse. The National Legal and Policy Center, a right-leaning government watchdog group, filed a complaint against Alexandria Ocasio-Cortez’ chief of staff, Saikat Chakrabarti, 33, who set up two PACs and then funneled over $1 million in political donations from the PACs into two of his own private companies. Campaign finance attorneys said there was no way of telling where the political donations went, meaning they could have been pocketed or used by the company to pay for off-the-books campaign operations. If AOC had control over a PAC that was working to get her elected, then she is potentially in very big trouble. of “dark money” in politics. 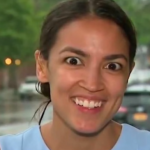 The New York Post analyzed Alexandria Ocasio-Cortez’ (AOC) campaign spending that revealed her hypocrisy in pushing the Green New Deal on Americans while she herself enjoyed using car services instead of the subway that had a stop 1-minute from her headquarters. AOC’s campaign logged 1,049 car service transactions totaling over $23,000 between May 16, 2017, and Dec. 31, 2018, The Post found. Her campaign once booked 26 car-service transactions in a single day. Patrick Moore, the co-founder of Greenpeace exposed her Green New Deal for failing to plan on how to feed 8 billion people without using fossil fuels. 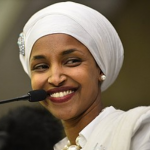 In addition, he criticized her hypocrisy and her excuse of living in the “world as it is” by stating that the world offers the option of trains instead of plans and the subway instead of a taxi. “Pompous little twit,” he tweeted. 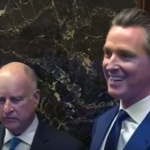 For 80 years the Brown, Newsom, Pelosi, and Getty families have ruled over the State of California. Turning it into the economic and social disaster that we see today.